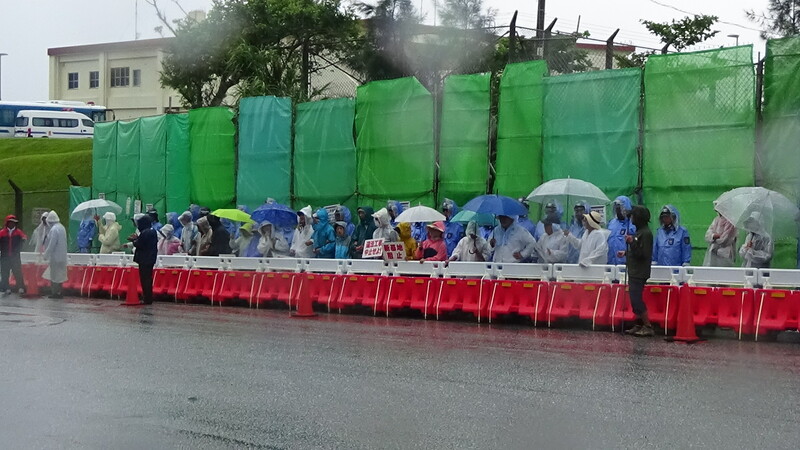 At 9:00am, 25 people resumed the sit-in, but were removed by several tens of the riot policemen and held within a temporary detention area on the sidewalk (the picture below). 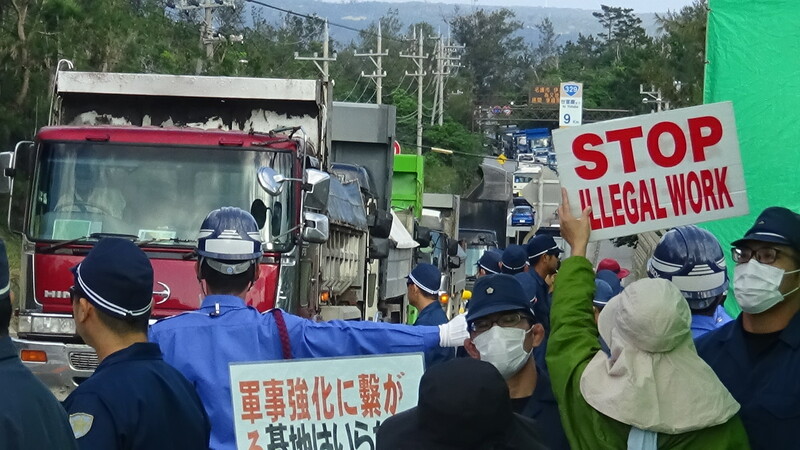 Eighty-seven trucks went inside the Gate. 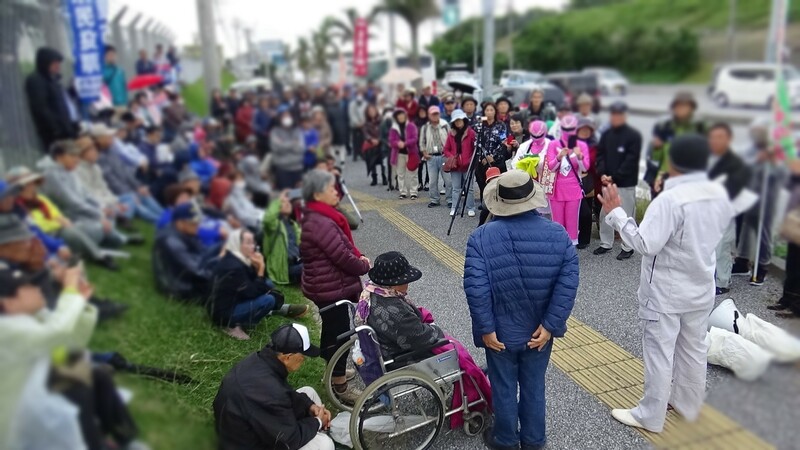 Thirteen members of JR (Japan Railways) labor union joined the sit-in. Eighty-two trucks at 12:30pm and 83 at 15:00pm made deliveries. The protestors on the sea reported that crushed stones were dumped into the sea today for building a seawall in N4 one. Although the number of protesters was less than 10, they demonstrated calling out aloud. In the afternoon, a well-known Okinawan sculptor, Mr. Kinjou Minoru, visited with us and took a mike. 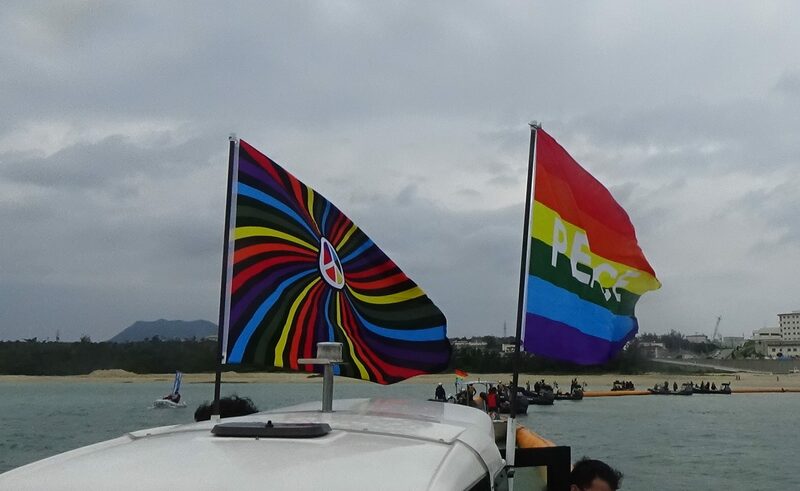 One boat and 15 canoes were out on the sea to protest. They tried to prevent the barges with ramp from anchoring to the Pier, but succeeded in delaying only for several minutes. As if not being concerned with the landfill mess, a clear blue sky spread high above the sea.